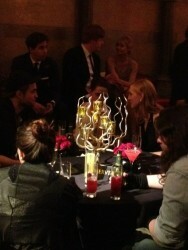 @joshuahorowitz:: SWATH party was fun. 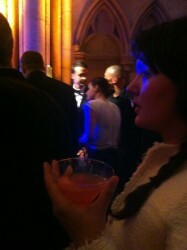 Chatted with Rob for a while about Cosmopolis. We've got some stuff in the works! 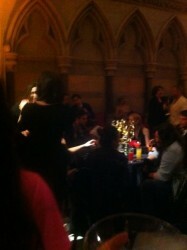 Meli1518 Rob was there with his baseball cap on :) and the only Pattinson I saw was Lizzy. 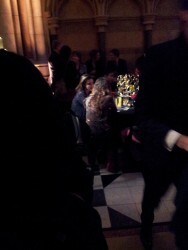 Anddd Ruth omg met at the bar and smile to each other she's fierce lol. HGB was serious business though like a boss. 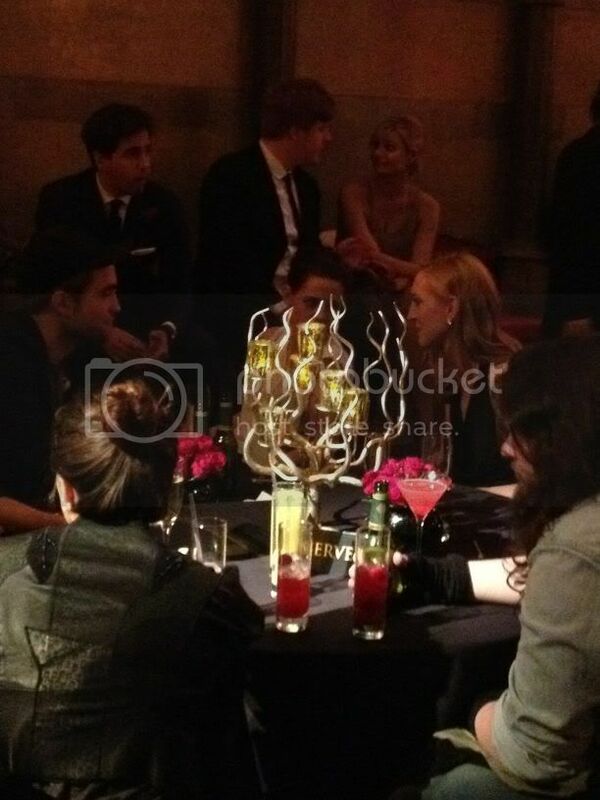 And everyone ended up at the Stewart table Sam,Charlize,Chris, lol that's where the party was atI'm back in my hotel Rob and Kristen left like 45 mins ago. ASB dancing hilarious!! Kristen was dancing to the live and I was like behind her and we smile to each other shes the cutest dancing there and having a blast. 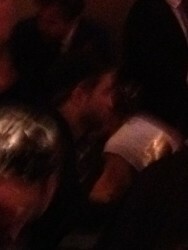 And Kristen hugging Rob and Rob holding her like her Jeans aww I died. Kristen was wearing jeans, her Nike shoes ( I think ) white tshirt sleeveless and black Bra and the hair was the same from the red carpet. 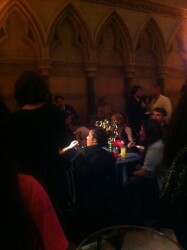 @crowsef About to start work in the cloakroom for the after party of a film premiere. (@ Royal Courts of Justice)Okay it's for Snow White and The Huntsman but it still counts. Coat check update: Robert Pattinson's coat smells like whiskey and grass. Coat check update: Charlize Theron has just checked a coat with pockets full of shredded paper (? )Coat check update: Chris Hemsworth just handed us a large, warm thong. He didn't say a word. 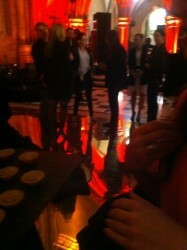 May be here longer if Kristen Stewart keeps dancing on that table. Waiting staff are drawing lots to see who has to stop her. 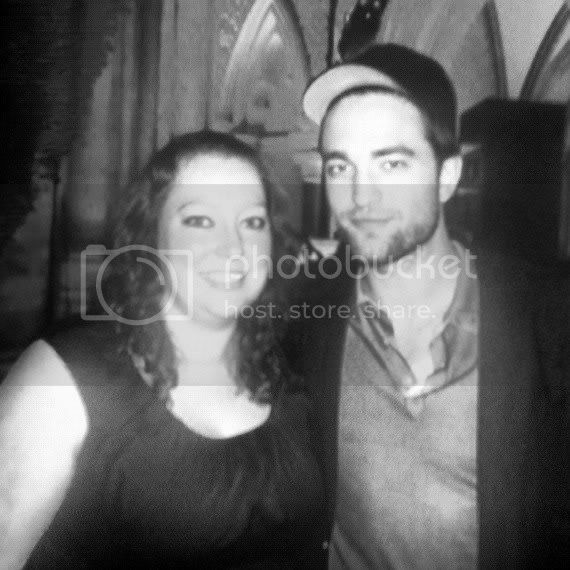 @wearebr_and: Robert Pattinson in his trademark baseball cap at the #CirocVodka #SWATH premiere @wearebr_and: #RPatz enjoying #CirocVodka cocktails at #SWATH premiere party.